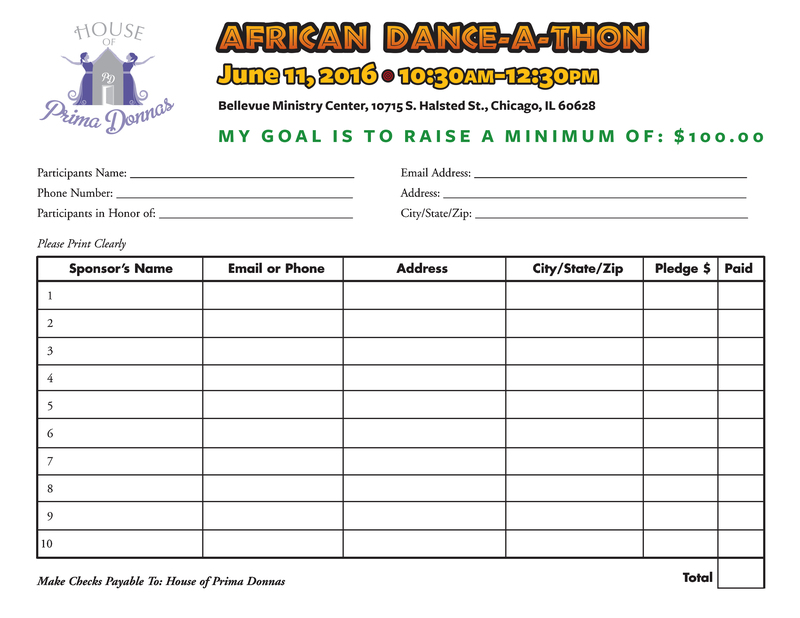 Click here for event forms, details, to rsvp, and to purchase tickets. Q: I am not necessarily facing homelessness but I could use the money, can I still apply? A: No, you must be facing homelessness in order to apply. For example, you may be behind on your rent and facing an eviction or in the process of transitioning from homelessness (Living in a shelter, on the streets or in someone else's house temporarily) and into your own apartment. Q: What if I am trying to move out of the 60628 area code, can I still apply? A: No, in order to receive funding for housing assistance you must reside in or be approved to move into a new apartment within the 60628 -Greater Roseland community. Q: Can I apply on behalf of a young lady that qualifies? A: No, she must write the essay herself. However, you may assist her with the essay. Q: Can former HPD participants apply? A: No, recipients cannot be former nor current HPD participants. Q: What if I do not have access to a computer? A: We recommend that you go to a public library for access to a computer. Submissions will only be accepted via emailed at info@houseofprimadonnas.org. Q. Can I use the money for something else other than housing? A: No, the full amount may only be used for security deposits, move-in fees or rent. Sufficient documentation to prove need for housing assistance will be requested. Payments will go directly to the landlord after HPD verifies the property owner. 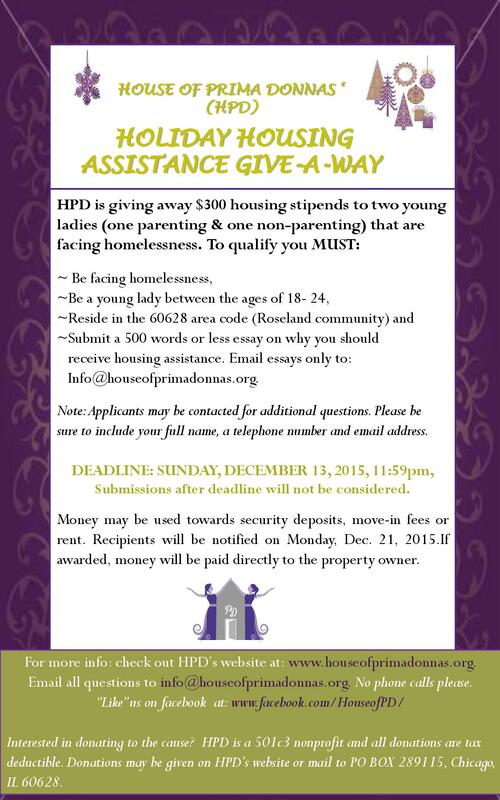 For additional questions please email us at Info@houseofprimadonnas.org. We look forward to hearing from you!